Where to see the Milky Way? 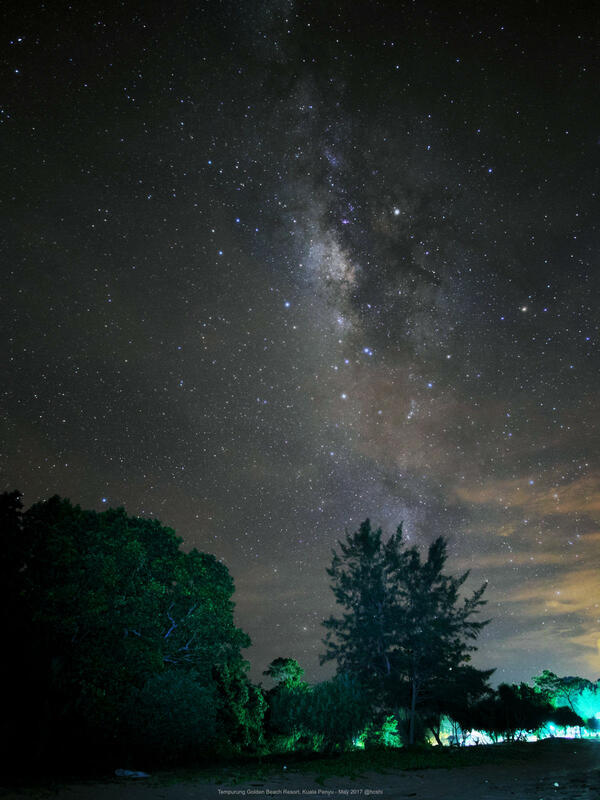 In order to see that elusive Milky Way, you’ll have to travel away from the big city to remote area where there is little or no light pollution. Usually, I would rent a car and self-drive, and spend 3 to 5 nights chasing the Milky Way. 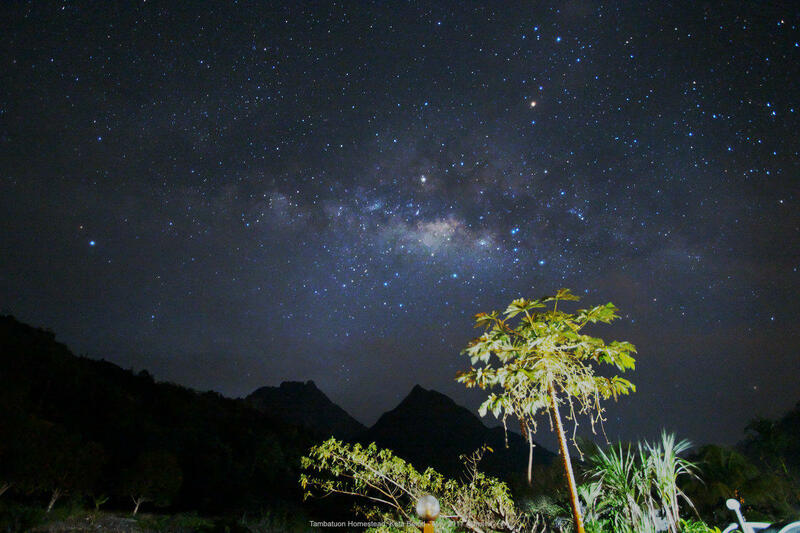 Every year, the summer Milky Way season in Sabah starts from March and ends in September. In order to see the Milky Way, you’ll have to go out on a clear night with no moon. You can easily check for moon phases online but it is impossible to forecast the clear sky, so I’ll suggest that you set aside at least 3 nights to hunt for the Milky Way. The above 7-day itinerary is based on an actual trip I made in May 2017. 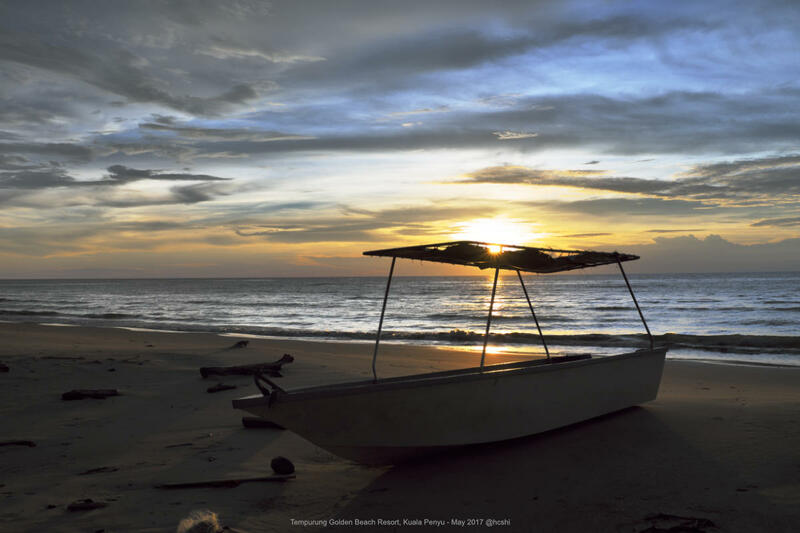 It was a DIY trip with a friend and we booked AirAsia flight from Singapore to Kota Kinabalu. 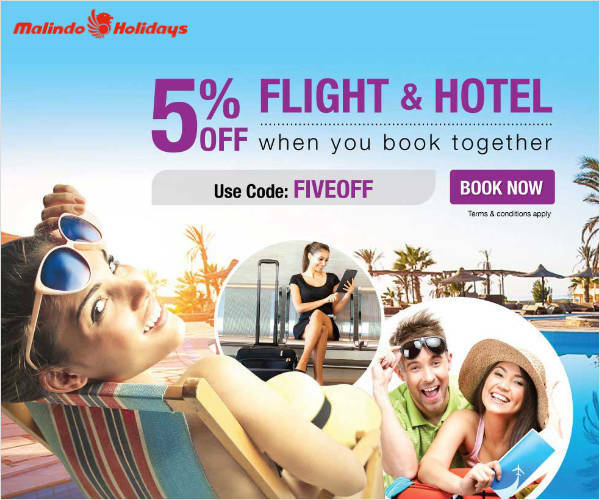 We arrived Kota Kinabalu in the late evening and stayed at the Gaya Center Hotel(SGD50), located opposite to the Suria Sabah shopping mall. There are many restaurants and street food stalls nearby where you can have dinner or late-night supper. However, we decided to go to bed early and rest as much as possible because we planned to stay awake and stargaze on the following four nights. We rose early and went to Gaya Street to have local breakfast. Then we shopped for grocery at City Grocer in Suria Sabah. Our pre-booked rental car was sent to our hotel at 11am and we set off before noon as scheduled. It took us about 3 hours (including a short lunch break) to drive from Kota Kinabalu to Kuala Penyu. The accommodation at Tempurung Golden Beach Resort was rather basic. We pre-ordered our dinner when we checked in as we did not wish to drive out to eat. We visited Batu Luang in the late afternoon for a brief photo shoot and returned to the chalet to rest. Before dinner, we took some photos of the sunset. However, the sky was very cloudy and we were not very hopeful of a clear night sky. 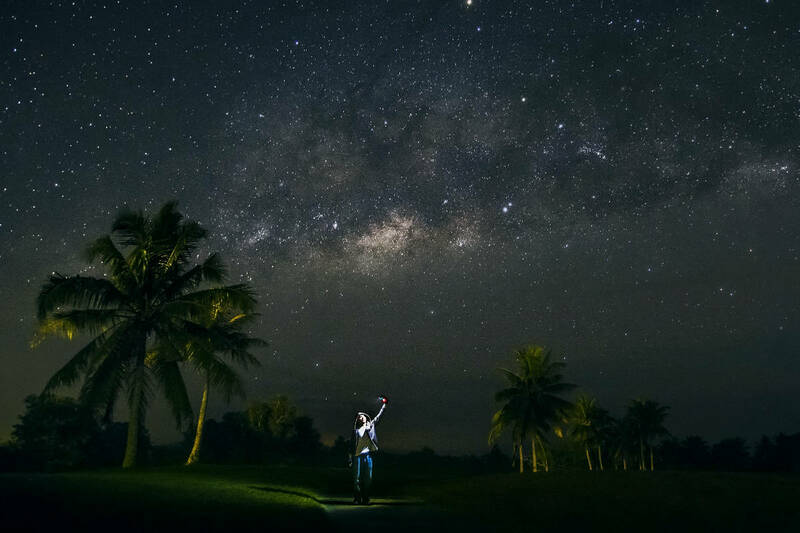 According to the Stellarium astronomy software, the Milky Way would rise above the south-eastern horizon from around 10pm (during the month of May). However, the sky was very cloudy. We waited until 2am for the cloud to clear and eventually caught glimpses of the Milky Way. The next morning, we checked out and left Tempurung Golden Beach Resort after breakfast. 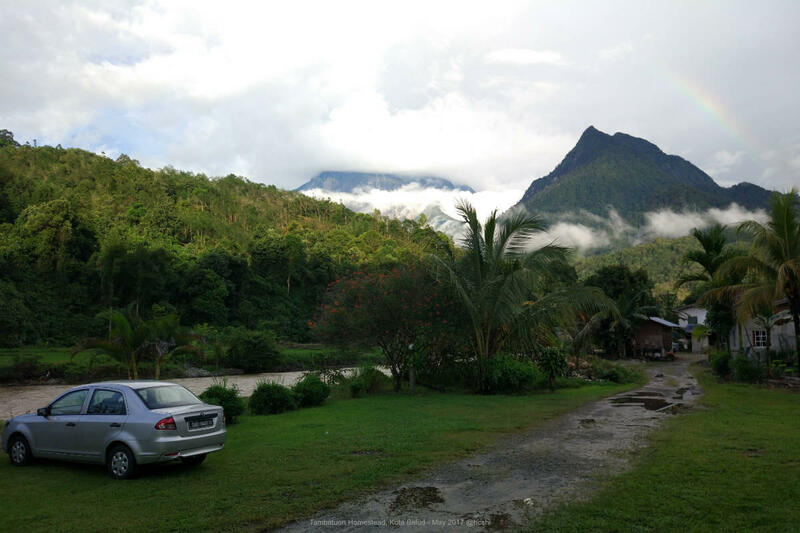 We drove across the Crocker Range and stopped by Keningau town for lunch before heading to Hounon Ridge Farmstay where we’d booked 2 nights stay. The cool mountain climate is perfect for a relaxing vacation. Night time temperature can fall below 20°C and feel like 14°C because of wind chill effect. So you’ll have to bring along woolen sweater and windbreaker to keep warm when stargazing at night. There is a common kitchen where you may cook your own meal. If you prefer not to cook, you could order your breakfast and dinner from the restaurant that serves a limited menu. On our second day at Hounon Ridge, we drove to the Desa Cattle Dairy Farm. We also visited the Kundasang town to buy fresh groceries for our “home-cooked” dinner. If you’ve more time, do visit other attractions in the vicinity e.g. Kinabalu Park (Malaysia’s first UNESCO World Heritage Site), Sabah Tea Garden, Poring Hot Spring and Poring Canopy Walkway. 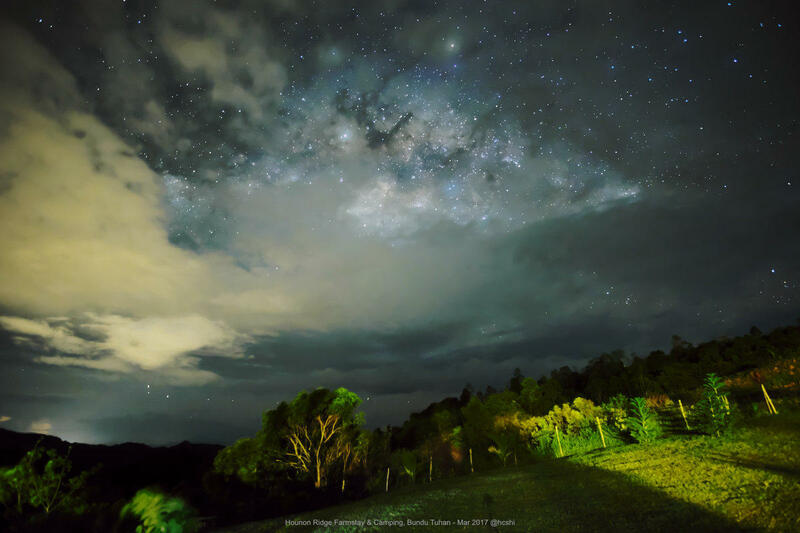 Tambatuon Homestead, located at the Tambatuon village, has long been known for its starry sky and paddy fields. 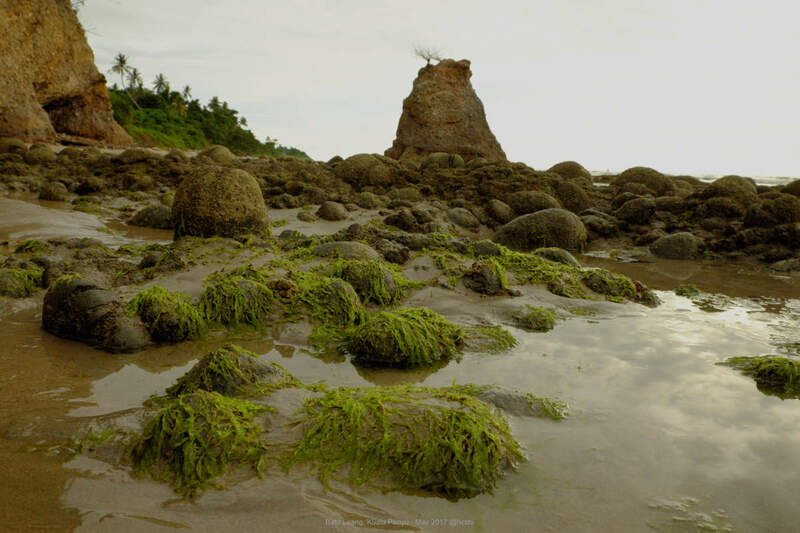 The name “Tambatuon” originated from the local Dusun dialect “Rombituon” which means stars. The accommodation at Tambatuon Homestead consists of dormitory rooms and double rooms. There is a large kitchen where you can cook meals. You are expected to bring your own food and do your own cooking. Otherwise, you’ll have to drive an hour to Kota Belud town for your meal. The river nearby, lined with beautiful pebbles and boulders, provides the ideal foreground for landscape shots. The cool and refreshing water is perfect for a dip in the hot afternoon. 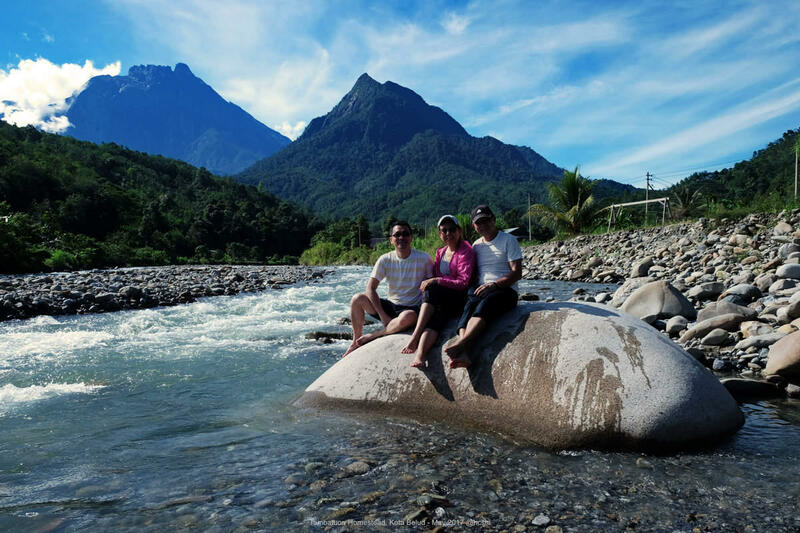 Across the river is a wide stretch of the paddy fields, with Mount Kinabalu and Mount Nungkok in the background. We left Tambatuon Homestead around 10am. On the way back to Kota Kinabalu, we detoured to Gayang Seafood Restaurant for lunch. We were yearning for some real good food after many days of “home-cooked” meals! The seafood lunch turned out to be super delicious and the price was reasonable. It was so good that we plan to visit this restaurant again on our next trip. On our final night in Sabah, we decided to pamper ourselves with a luxurious 4-star hotel – Hotel Grandis. It’s probably the best city hotel in Kota Kinabalu and definitely the best accommodation of our entire 7-day trip. I guessed it’s worth the money for the better bed, spacious room and other amenities plus the proximity to the shopping mall. The room at Hotel Grandis was so comfy that we didn’t want to go out to do any sightseeing in Kota Kinabalu. We simply spent many hours catching up on our sleep. Only when we were fully recharged, we walked over to the Suria Sabah to fill our stomach and window shopping. We checked out at 11am and “GrabCar” to airport for our flight back to Singapore. We found out that it is cheaper and easier to get private hire car services with Grab than to hail a taxi. Please share your Milky Way trip experience and leave your comments below. Featured photo by Harris Jeffrey.